The Mayfair location was decided on as our meeting point and since Burger & Lobster don’t take reservations and there were 6 of us for dinner, I was prepared to wait. However, I certainly did not expect a 2 hour wait for a table. I mean, really? Who has this kind of time? And, is it really that good?? There was no way any of us were waiting that long (especially with cranky little R for company) so we decided to try our luck at the new Fitzrovia branch before quitting the lobster hunt. We were miraculously seated straight away…it was meant to be! 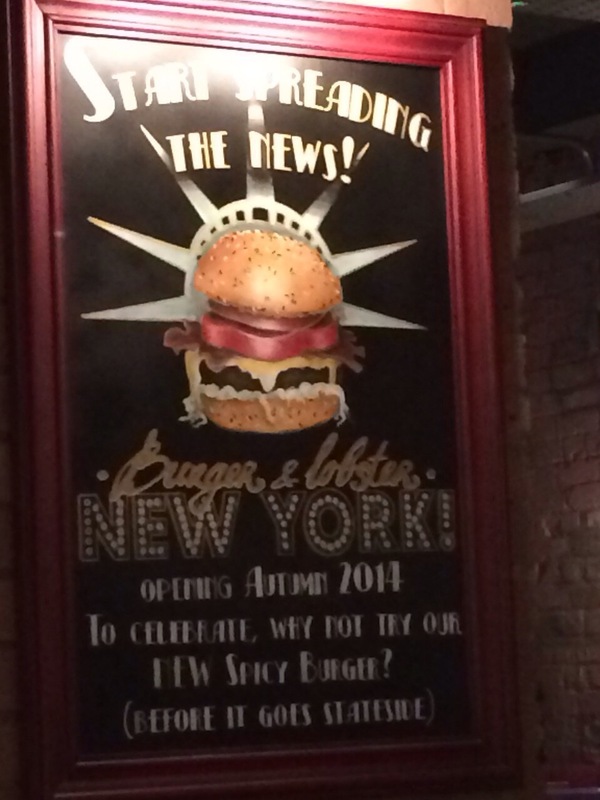 Lobster without the mess? Yes, please!! 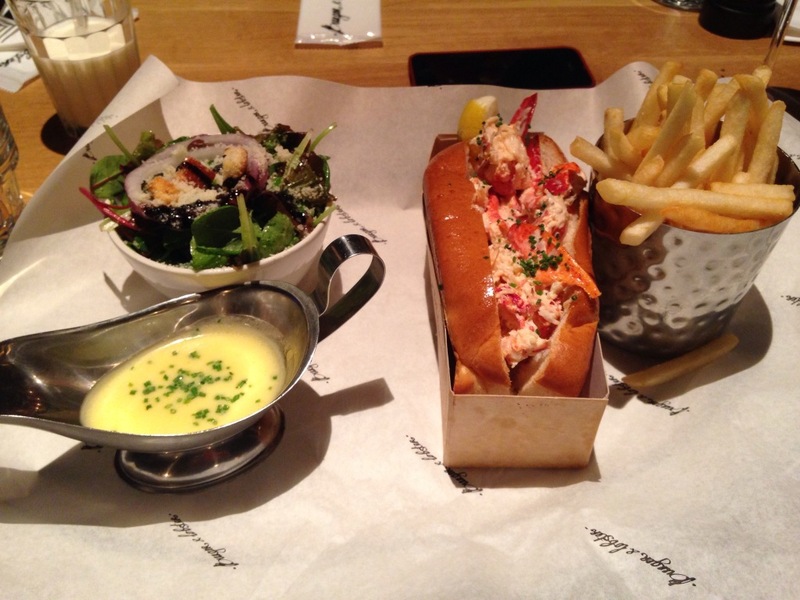 The burger, lobster and lobster roll are all served with a side of light Japanese mayo, crispy chips and a delicious green salad. A generous drizzle of the Japanese mayo over the lobster roll and one bite later, I was officially in love. It really is THAT good. We were greedy and also ordered a full lobster for the table and although impressive and meaty (for £20! 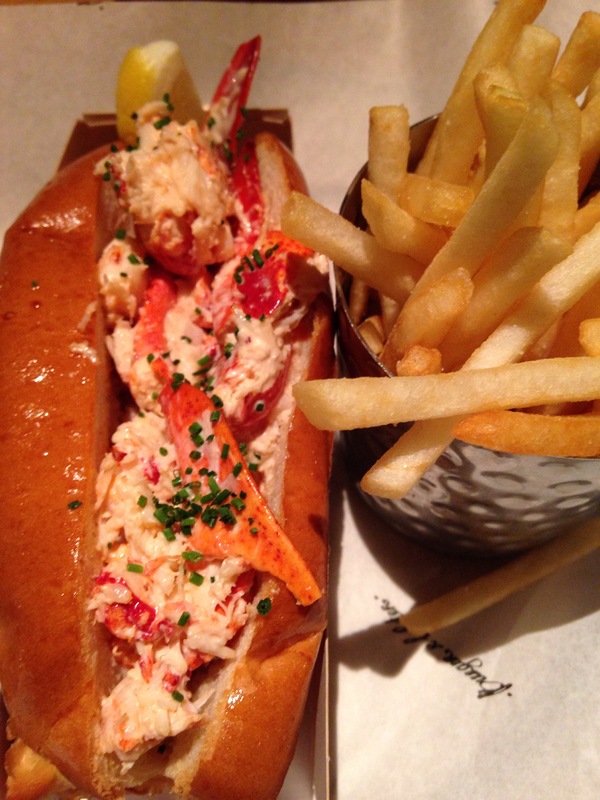 ), I preferred the neat lobster roll.